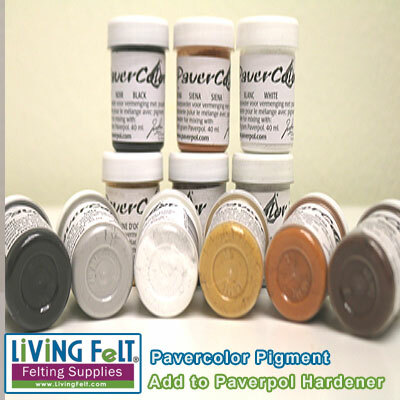 Pavercolor pigment powder changes transparent Paverpol fabric hardener into the color of your choice. The powders can be combined to make custom colors. All Pavercolors can be mixed with water to use as watercolors. However, this technique can only be used for indoor pieces of work.